Bad Credit Car Loans & Bad Credit Auto Leasing near Toronto | Ezee Credit Leasing and Sales Inc.
At Ezee Credit, we make it easy for people with poor credit in Toronto and the GTA to get a great used vehicle. Our simple, secure online application only takes a few minutes to complete. From there, an Ezee Credit Automotive Credit Specialist will review your application in detail. Every person with bad credit has unique needs and circumstances, so we take the time to provide a customized approach. Your Ezee Specialist will work with you directly from start to finish. In other words, we don't sell your application or 'shop' your credit like many bad credit car loan sites. Using our years of experience, we carefully assess which lender and bad credit car loan or lease makes the most sense for you. 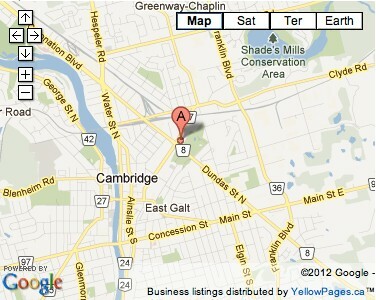 Our location in Cambridge, Ontario is only a short drive from Toronto and the GTA. Some customers choose to complete much of the process remotely and come to Cambridge when they're ready to choose from our excellent selection of quality used cars, crossovers, SUVs, minivans and trucks - or pick their vehicle up. We will work with you to make the process easy, and ensure you get the vehicle you're looking for on terms that are right for you - regardless of your poor credit and financial situation. Get started today with our online application. Ezee Credit is Ontario's trusted source for bad credit auto loans and leases, so you've nothing nothing to lose and everything to gain. Having had credit issues, I contacted this company & was treated with respect and managed to get a newer vehicle! I would recommend this company to anyone looking to get a newer car at a great rate. Kathy was very helpful and professional. Stacey made leasing our SUV easy! She explained everything and helped us decide which option was best for us. We want to thank Stacey from the bottom of our hearts for everything she had done for us. Stacey you believed in us and have made starting over possible. You have made it to our Christmas list!